On Monday, March 6, 2017 Nike unveiled their first Pro Hijab for female muslim athletes. 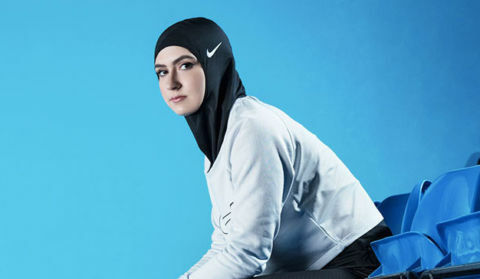 Nike, known for catering to the needs of athletes, created their first ever hijab. The hijab is made of polyester fabric with small holes placed for ventilation. The resilient material of the Pro Hijab allows for it to conform to the head of the athlete. 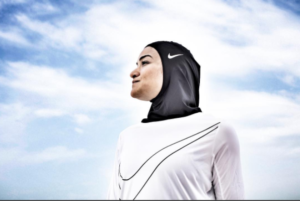 Though Nike is not the first company to create athletic hijab, the company is known for being innovative when it comes to solving problems. The company is also known for making political statements, one of the recent ones being their #BeTrue Collection, which was a collection of designs inspired by the LGBT community. It featured the Pride flag and pink triangle. She continued to say “keeping my scarf on in public is important to me regardless of what i’m doing,” and explained how muslim women wear their hijab for modesty. Many people are looking at this as a preview of more to come. In an article published on nbcnews.com, ASIYIA, a U.S. based modest sportswear company, welcomed the announcement and said they hope it encourages more muslim girls and women to play sports. “I am very happy about this because we have not been represented that well in the past,” Dansani said. The Pro Hijab is expected to be sold in early 2018. The cost of the covering will be $35.